Ahead of the biggest meeting at Aintree throughout the year with three days of excellent national hunt racing that is topped off with the Randox Health Grand National on Saturday, the course have severely upped the security across all of the days. This parameter by Aintree has been bought in due an incident which occurred in the early hours of last Saturday morning when vandals gained access to the course, causing damage to parts of the track. It was reported at approximately 6:45 am on Saturday morning that a car had driven through the security gates, leaving tyre marks on parts of the grass and affecting some pieces of railing near the Melling road part of the track. The worst of the vandals work happened towards the 12th fence on the Grand National course where there is damage to the track that the course staff will have to attend to before Thursday's racing. A spokesman at the track has explained how there have been crucial measures taken place to make sure that this does not happen again especially before the start of the festival. (Credit Racing Post) They said: “We’re very disappointed this occurred in the build-up. "This is now a police matter so there’s not much we can say on the specifics of what occurred, but some superficial damage was done to a small area of the course. Security has been stepped up prior to the festival. Our ground staff team will rectify this and it will have no impact on the meeting." There has been no arrests made as of yet in relation to the incident that occurred last Saturday, with Merseyside Police still calling out for anyone that might have any knowledge of what happened or the people that were involved. 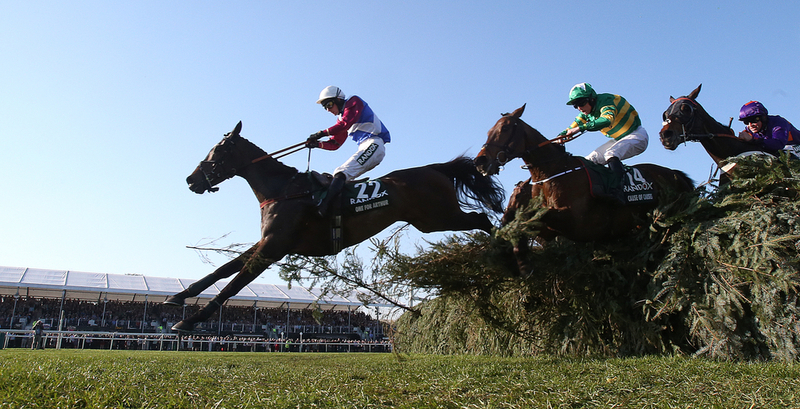 Ticket touting has been a major negative factor to come into the three day Grand National festival but this year there has been put in a Public Space Protection Order which should to bring the levels of touting around the course down to a minimum. (Credit Racing Post) A spokesman for the course added: "We're working closely with Sefton Council and the police, who have introduced a Public Space Protection Order for ticket touting which makes it an offence to sell, offer for sale or advertise tickets for the Randox Health Grand National outside the racecourse. The track is also working with specialists to make sure that drones are not another factor that would spoil or tarnish any of the racing set to take place.